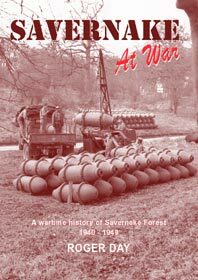 The wartime history of Savernake Forest has been researched by Roger Day who has published a book on the subject entitled 'Savernake at War'. The book may also be ordered via this website from the recommended reading page. 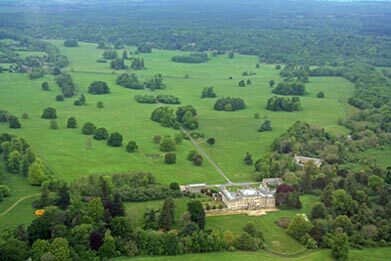 Bordering the south eastern fringe of the Wiltshire market town of Marlborough is Savernake Forest, a remnant of the ancient woodland that once cloaked much of Britain. 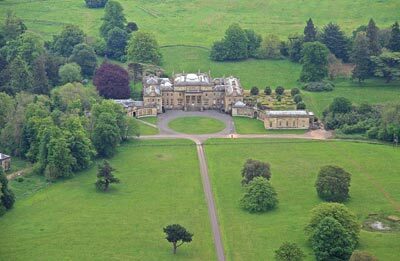 It covers an area of over 4,500 acres, is owned by the Ailesbury Estate and in 1939 was leased to the Forestry Commission for a period of 999 years. Before the outbreak of World War Two Britain's stockpiles of explosives were stored in three Central Ammunition Depots (CAD), but as the War intensified output from the ammunition factories increased massively and the CADs quickly reached saturation point. As a direct result temporary outdoor sites were hurriedly established and in July 1940 Savernake Forest was taken over by the War Department as an ammunition store. The forest's mature, predominately broad-leaved woodland provided excellent natural concealment from aerial observation and the trees had the potential to absorb the effects of explosions - accidental or otherwise. The depot was conveniently located in central southern England about 70 miles west of London and a similar distance north of the Channel port of Southampton. The now disused Midland and South Western Junction Railway, one of Britain's few north/south rail routes, passed along the western edge of the forest and the west of England mainline, linking London with the west-country, passed within a mile of the forest's southern boundary. Although the site was temporary in nature a number of semi-permanent camps, stores and other facilities were constructed and much of this work took place during the first year or so of the depot's existence. Five camps, used to accommodate personnel, were established at Tottenham House, Warren Farm, Cadley Vicarage, Postern Hill and Iron Gates and a number of Nissen type ammunition shelters were built at intervals along almost the entire length of the Grand Avenue. To open up the forest for storage, and to accept the weight of heavily laden army lorries, many of its woodland rides were strengthened and new tracks constructed. Towards the end of 1942 the Depot was gradually passed from British to American control and over the course of the next 18 months or so stocks of ammunition increased in anticipation of operation 'Overlord', the Allied invasion of Europe. 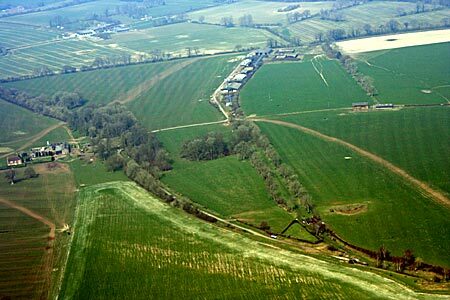 The increase in stocks was so great during this period that ammunition had to be stored in adjacent fields and woodland, as well as alongside public roads. After the War the depot was used to store redundant ammunition brought back from Europe and continued in use until 1949. Savernake Forests wartime history splits neatly into three phases. Phase One: July 1940 - November 1942. During this period the site was occupied by the British Army and at its busiest over 20,000 tons of ammunition, plus 3,000 tons of chemical material (mustard gas, Livens cylinders and chemical mines) was stored there. Phase Two: Between November 1942 and July 1945 the forest came under the command of the US Armys Services of Supply that, like the British, continued to use the depot as an ammunition dump. The site was extremely busy during the spring and summer of 1944. Phase Three: July 1945 - early 1949. The British Army was back in control and the site was initially used to store ammunition brought back from the continent. Much of this material was eventually dumped at sea. 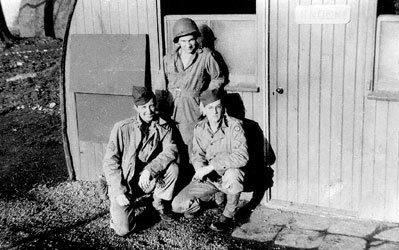 Above left: 1st Lt. Paul Sherman Wilson served with the 627th Ordnance Ammunition Company at Savernake from July 1943 until March 1944. He then transfered to the 631st Ordnance Ammunition Company and in the summer of '44 went to Normandy. His daughter, Emily Wilson, would be delighted to hear from anyone who served with him during WWII and can be contacted via this website. 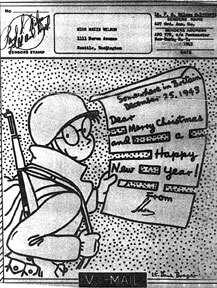 Above right: A Christmas V-Mail sent by 1st. 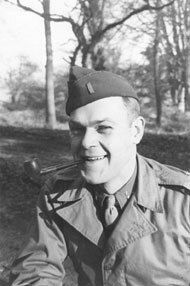 Lt. Wilson to his aunt Mazie in December 1943. The following story comes from Mr Roger Parkin who was a pupil at Hawtreys school, Tottenham House during the late 1940s: "In 1944 I was living near Llanyblodwell, on the North Wales/England border where my father was farming and was sent of to a preparatory school, Hawtreys, which had been evacuated from Broadstairs in Kent to Llangedwyn Hall (the seat of the Watkins Williams-Wynne family I believe) a few miles away. The War then finished and the school had to find a permanent home and this transpired to be Tottenham House Lord Cardigan's home in Savernake Forest. In January 1947, following the Christmas holidays I was taken by train from Oswestry, the nearest GWR station via Gobowen to Paddington and thence escorted with other boys by school staff to Savernake Low Level Station for the start of the Lent term. In recall arriving at a large building which was extremely cold and draughty kept slightly warm with open fires. Most of the windows had been blown out by the blast from the US ammunition dump explosion and after a few days it was decided to close the school whilst the windows were repaired and a new central heating system installed. My parents had during those few days started their move to Hastings where my father was to run another farm but work had to be done on our new home so we had to live in an Hotel. We then had the 1947 heavy snows and I returned to school early as there was to be an extended summer term to make up for the time lost. Things that I remember about Tottenham House include lifts which did not work, naked statues (most unsuitable for small boys!! ), paintings and stuffed animals in cases. ran for a short distance in the roadway, all long since closed, eventually reaching Lymington to get to the Isle of Wight where we lived from 1948 onwards." Left: Two thousand pound bombs lie beside the Stitchcombe road. Right: Iron Gates camp, Savernake, March 1944 and as it appears today. 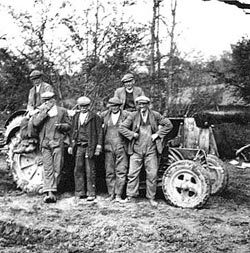 Left: Forestry workers at Bedwyn Common (via Harry Williams). 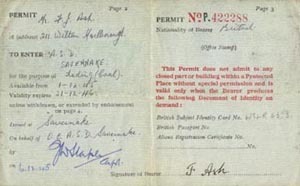 Centre: Permit to enter Savernake Forest dated December 1945. 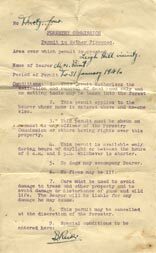 Right: Permit to gather firewood in the forest - issued by the Forestry Commission on 31st January to a Mrs Bint who lived at 201 Leigh Hill (B. Bint). Following an accidental explosion of ammunition stored at The Warren on 7th July 1945 St. Katharine's church (pictured below) was extensively damaged. 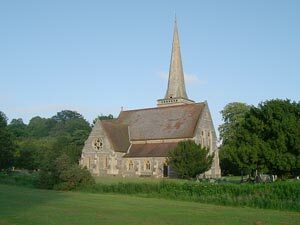 The church was eventually restored and reopened on Easter day 1952. 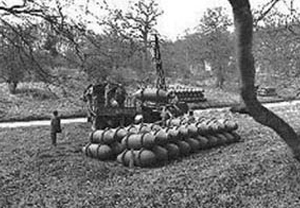 Up until 10 years ago, in woods nearby, it was still possible to find live rounds but these were destroyed by the Bomb Squad following instructions from the Earl of Cardigan (owner of the Savernake Estate) who wished to eliminate any possible risk to the general public. This whole area has now been classified free from all live ordnance. Left: St Katharine's Church today. 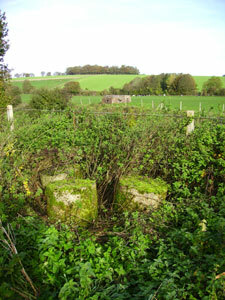 Centre: Pillbox and anti invasion cylinders near the railway line at Savernake. Right: A present day photograph of a surviving Brick Type Nissen Shelter. These structures were used to house what the military described as 'attractive stores' consisting of small arms ammunition, shotgun cartridges and pyrotechnics. 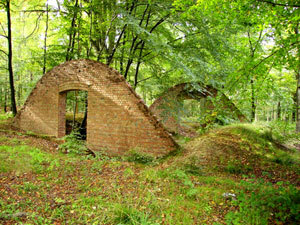 After the war a number of these buildings were used by the Forestry Commission to store acorns. Below: Six months after the explosion at The Warren, a second even more destructive blast rocked the forest. 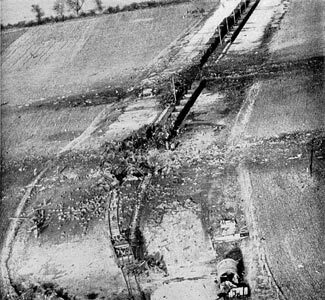 The incident occurred on 2nd January 1946 at North Savernake Sidings, just west of the A346 road between Burbage and Marlborough. Eight British soldiers from the RAOC, RASC and PC were killed. The picture on the left was taken the day after the explosion and the picture on the right by Mr. John Akerman during the Spring of 2007. Above: Two more superb John Akerman aerial photographs showing Tottenham House. The house is the Ailesbury family's ancestral home and during WWII served as the ammunition depots HQ, as well as providing accommodation for officers. Below: Although the ammunition dump at Savernake covered a very large area (4,500 acres) it was never deliberately attacked by the Germans. 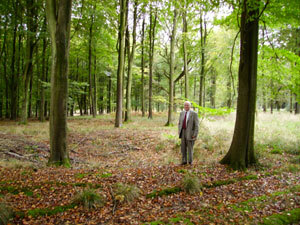 However, a few bombs were dropped on the area and in this picture George Cady, who was a member of the forest's Home Guard unit during the war, stands beside a surviving wartime crater. If you served at Savernake with either the British or American armies or lived and worked in the forest then please make contact at roger@ramsburyatwar.com . I would be delighted to hear stories or see wartime photographs of Savernake Ammunition Sub-depot.